Construction of AgriBio has been progressing in 2012. View the progress by selecting the image. Construction of AgriBio has been progressing in 2011. View the progress by selecting the image. 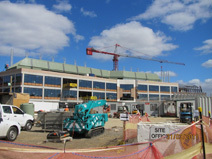 Construction of AgriBio is progressing to schedule in 2010. View the progress by selecting the image. The construction of AgriBio commenced in May 2009. 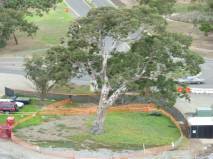 To view construction progress photos from 2009, select the image. Several events have been held relating to AgriBio, including the official sod turn, a community information session, site progress visit and staff site visits. To view, click on an image.